Wondering what it means when you keep finding feathers? The meaning of feathers is closely tied to the sacred, as can be seen in their use in many different cultures and traditions around the world. Interestingly, feathers are also one of the most common physical signs used by angels to get our attention! So here are 3 things you need to know about what it means when you find feathers! When angels align feathers on our paths it's a sign! The angel feathers, of course, don’t really come from angel wings. They are feathers from birds, however, they're highly symbolic of angels. So the first thing that you need to know about finding feathers as a sign from the angels, is that feathers are little symbols of angel wings. Feathers represent the ability angels have to fly through the higher dimensions. Angels are, of course, spiritual beings of light and love. They're not physical beings and they don't really have or need wings to fly. But the wings angels are so commonly depicted with, are symbolic of their ability to fly. Wings also symbolize the ability of angels to clearly transmit and deliver the messages of the Divine, the messages of the Infinite, the messages of Source to us in the physical. So if you think of a feather, as symbolizing one small part of an angel's wing… That can bring some insight into what finding a feather means for you. It's a puzzle piece and little reminder that you too have the ability to fly in the higher dimensions of spirit. Yes, you are a physical being, yes, you are hardwired and programmed to be focused in physical reality, but you can choose to learn to reconnect and to link with the higher dimensions to fly, to lift, to expand, to embrace the love and beauty and peace and wisdom and light of the higher spiritual realms. And so, to tune in to the presence of angels, quiet your mind, pause your thoughts, find the space between your thoughts and dive inward tuning into gold and white light in your mind… Letting that inner light expand, and illuminate you. Illuminating your central column, your Ascension pillar, your column of glory at the center of your being with golden and white light and just breathe and tune into the light. Observe, and know that when you are in this receptive state, with your central column of light ignited, your vibration is raising and you are becoming a vibrational match with the energy and frequency of the higher angelic realm. When you just observe, when you're receptive without judging what appears, deeper levels of angelic guidance, love, healing, and frequency can flow in to uplift you. The Angels stepping forward for you can then move on to transmit frequency… Love, healing, light, and blessings upon you. And yes, all that is possible in the moment when you find a feather. The second thing you need to know about finding feathers as a sign from the angels is that it is a reminder that miracles are possible. If you really think about it, although there are tons of birds in the world, and tons of feathers floating around, still the odds of a feather aligning on your path at that specific moment, that draws your attention that sparks your awareness about angels… Providing validation and reminding you to tune into your direct connection with the angels. That is miraculous. Angel feathers are reminders that miracles are real, and that miracles are possible in your life. And just as the angels, can line that feather upon your path, they can also align much greater opportunities, opening doors, aligning chance meetings, aligning miraculous possibilities into your life, with your permission. Putting a feather on your path is not really interfering with your free will. So the angels are able to do that at any time, but aligning a chance meeting or a huge new opportunity may change your trajectory and go against your free will. And so if you’d like bigger angel intervention in your life, ask your angels for help because that is what is required for them to intervene and to really assist you at the highest levels aligning to miracles in your life. 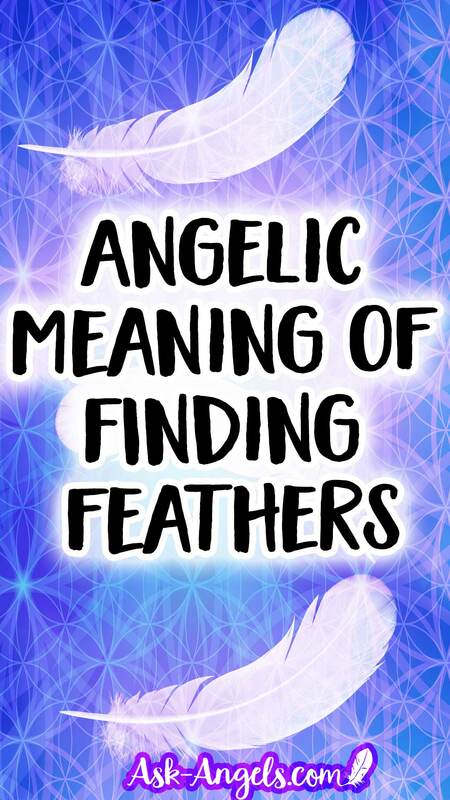 The third thing that I want you to know about finding Angel feathers can be recognized by tuning into one of the key the qualities of a feather. Lightness. If you throw a feather up into the air, it gently flutters down, and that lightness is representative of the quality of your heart center required for you to access the higher angelic realms. Lightness within your heart center is required for you to access and embody the highest gifts, wisdom, and frequency of your soul. It's a reminder to take things lightly, to reconnect and cultivate a sense of lightness within your heart and to remember that angelic energy is playful, joyful, and loving. And the more you're able to cultivate those qualities of lightness, joy, and laughter into your own experience, the more you're able to flow through your life with grace and ease, attracting the miracles, attracting the blessings, and attracting the positive qualities of the Divine into your being. As a result, you begin to magnetize through resonance blessings and Divinely orchestrated experiences in your life. Through an inner sense of lightness, you’ve cultivated in your being. So those are the three things that I think you should know about finding feathers, which bring highly symbolic guidance from the angels. Angels are spiritual beings, and so to tune into them, it requires you shifting your mode of awareness away from being solely focused on the physical into the inner subtle psychic senses. Remember that with every angel sign there is a call to tune in to access at a deeper level, the true Angelic Energy, guidance and presence available to you in that moment. Not Receiving Angel Signs Like Feathers? Finally, if you don't feel like you're receiving angel signs, don't worry. It doesn't mean you don't have angels with you and it doesn't mean that you're not loved and guided and supported. And when you do that, you will begin to receive signs. Those signs could come in the form of a feather, it could be seeing angel numbers, or feeling a wash, a glow of angelic light and energy. Pay attention. The signs your angels send may be something that's not commonly talked about as an angel sign, but something that happens to you, that you observe, and experience that makes you think of the angels, that encourages you to be positive on your path, and that reminds you that you are directly connected to the higher angelic realm through your open heart and central column of light. Now, it's just up to you to tune in. Angel Feathers. What Is The Meaning of Finding Feathers? Start Seeing Angels… Where to Look and How to See Your Angels! 7 Guardian Angel Signs You Need to Know About! Love your videos. I tune in whenever you post one. Love the meditations; always feel better after doing one with you. It’s such a great confirmation to listen to your explanation of receiving feathers! I been receiving for years. I always feel so blessed and loved. Love this article. I have stopped seeing feathers regularly but about a month ago I was seeing them everywhere. I have been seeing master numbers daily though. Thanks! Though I never encounter feathers, I still feel the presence all aroud me. I do encouter three or and 9 quite often. 😇💖✨ Ah. So glad to hear you can feel the presence of angels around you! Such a wonderful feeling! but felt I had to walk on to my destination. Any additional clue as to what this meant ? Thank you so much for this information…very valuable. I found white feathers in my yard twice within one week. I wanted soooo much to know what it meant. Also… Search for Karmic Cleanse in the membership for a guided meditation! Thank you very much Ask my Angels. This is great! I do see feathers, even inside my house. Also in one of your previous videos, you discussed seeing 1:11 and asked what other numbers we see…everyday when I look at a clock I seem to line up with 1:11, 3:11, 4:11, 6:11, 7:11, 9:11…you get it… lots of 11’s. Any insight? That’s awesome! 😇💖✨11 carries strong codes of initiation, intuition, spirituality, and enlightenment. 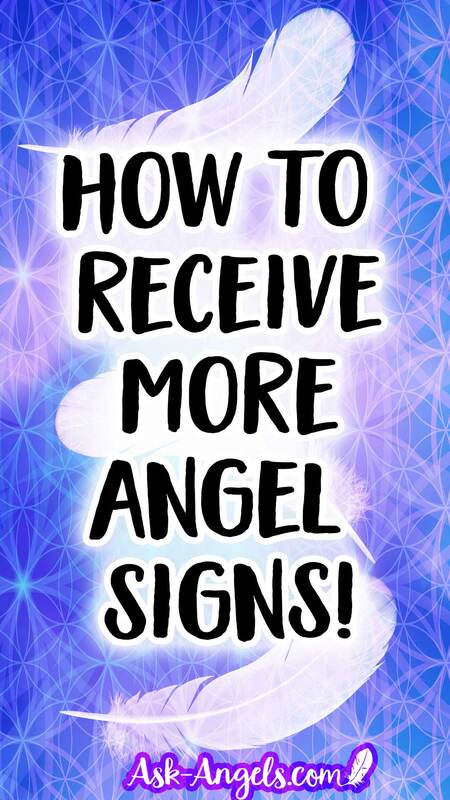 Use the method I share in my 111 video to tune in and see what specifically the angels want you to know in the moment you see the numbers! Thought you might get a kick out of this… this song popped into my head today and now I can’t get it out. I looked up the lyrics and watched the YouTube video…it’s exactly what I’m feeling right now in my ascension process. I’m ready! It makes me smile! Just thought I’d share.